Zach & Delaney engagement session, where do I even begin? Let me first just say how awesome these two are. I first met these two at Delaney's sisters wedding about a year and a half ago. I remember seeing them and I instantly could see their connection. I am so happy they decided to have me capture this special time in their life! 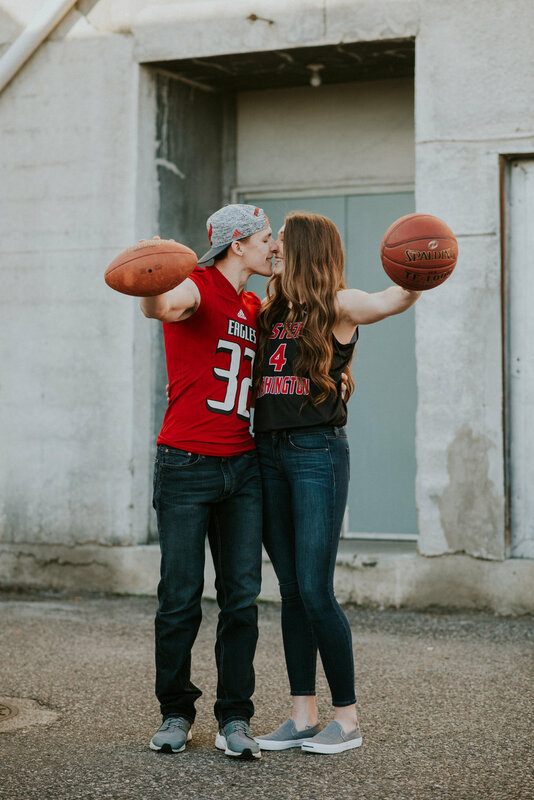 Scheduling their engagement session was a challenge because of Delaney's basketball season at Eastern Washington University, but we managed to find a date that worked perfectly. Let me also just mention, it was an absolutely gorgeous 50 degree weather day in the middle of January! 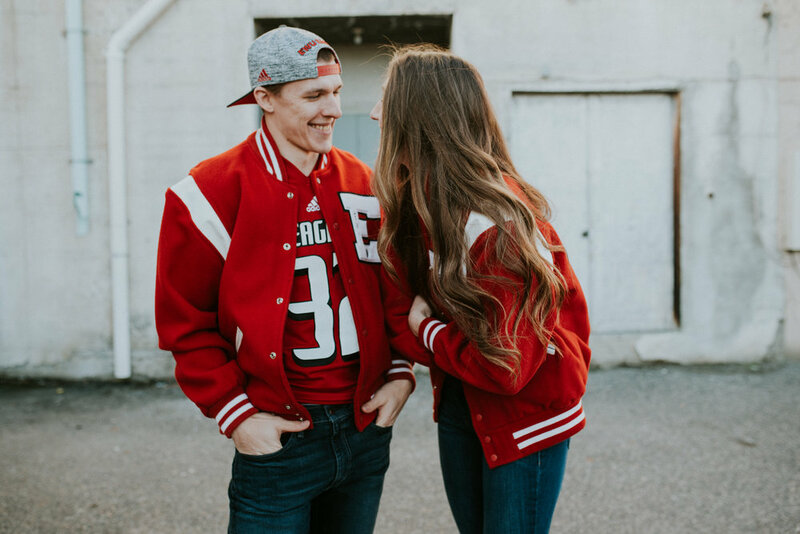 We incorporated their love for sports and we also headed out near Southridge for a golden sunset session. I cannot even begin to express how excited I am for their special day this August.